Amid weeks dominated by prime minister Theresa May’s Brexit woes, the government today (December 17) unveiled measures it would be taking to improve workers’ rights following its much vaunted Taylor Review. But like the Taylor Review before it, today’s measures announced as part of the so-called ‘Good Work Plan’ fall far short in a labour market dominated by low-wages and insecure work for millions of people, including those on zero hours contracts and in ‘gig’ jobs. The most significant change in workers’ rights is the closing of a loophole, known as the Swedish Derogation, which allowed companies to pay agency workers less than full-time employees who work alongside them. TUC general secretary Frances O’Grady welcomed the end of the Swedish Derogation – which she called “a victory for union campaigning” but added that “these reforms as a whole won’t shift the balance of power in the gig economy”. “Unless unions get the right to organise and bargain for workers in places like Uber and Amazon, too many working people will continue to be treated like disposable labour,” she added. Indeed, the crucial role of unions was noticeably absent in the announcement today. Instead, the government put forward only tiny steps in the right direction, such as for example giving staff a statement of their workers’ rights on their first day on the job – an essentially meaningless gesture if employment tribunal fees are re-introduced as the Ministry of Justice (MoJ) hinted it might. Under new plans, workers will have the right to request a “more predictable and stable” set of hours, which again Unite has argued means little if that request is not granted. Companies that have shown “malice, spite or gross oversight” can be fined up to £20,000 – but there’s no guarantee that they will under the current enforcement regime that favours employers. Other measures include giving support to seasonal workers to ensure they receive the holiday pay that they’re entitled to, and creating a single labour market enforcement agency. Implementing the government’s Good Work Plan, which was announced by business secretary Greg Clark, is scheduled to be debated in Parliament today (December 17). Today’s announcement also briefly highlighted tips, saying only that the government would ensure that “tips left for workers go to them in full”. Unite regional officer Dave Turnbull warned that the government must “not let greedy bosses off the hook” when it “finally legislates to ban all rip off tip scams”. 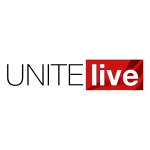 “The government’s announcement in October that it would legislate to prevent employers pocketing tips and ensure that tips left for workers got to them in full , was a hard-fought win for Unite’s fair tips campaign. We will certainly not accept half measures or any tinkering around the edges now,” he added. Commenting on today’s announcement, Labour’s shadow business secretary Rebecca Long Bailey said that the government “has failed to support workers”. “Instead it has increased tribunal fees, attacked the health and safety of workers, introduced the draconian Trade Union Act and presided over the lowest wage growth in a decade,” she said. Unite general secretary Len McCluskey agreed. “The government’s plans are reluctant baby steps at best, and hardly give confidence that post-Brexit UK will be a country of decent jobs,” he said. “This is a time of historic low wages and of chronic job insecurity. We need proper, substantial action to combat this but what is on offer today falls well short of what this country needs to deliver work that pays. “People on zero hour contracts and workers in the insecure economy need much more than a weak right to request a contract and more predictable hours,” he added.